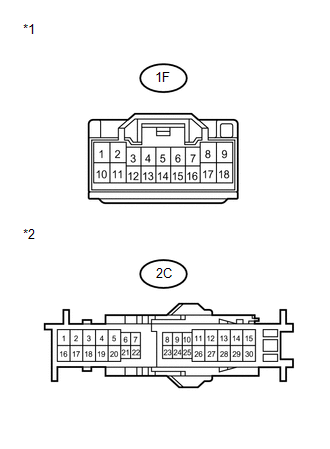 The main body ECU (driver side junction block assembly) controls the high beam headlights. (a) Check the operation of low beam headlights. 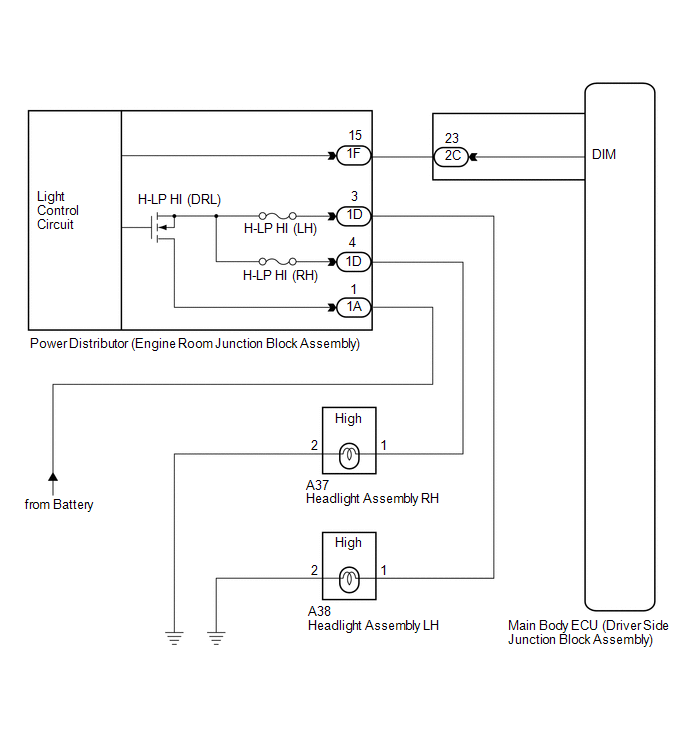 When a short circuit occurs between the power distributor (engine room junction block assembly) and high beam headlight bulb, a fail-safe function operates to stop the H-LP HI relay operation. 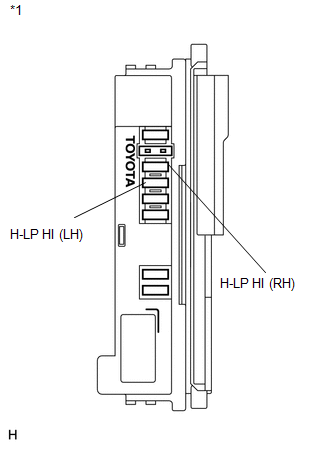 (a) Remove the H-LP HI (RH) fuse from the power distributor (engine room junction block assembly). (b) Turn the light control switch to the head position and turn the dimmer switch to the high position. (c) Check if the high beam headlight LH illuminates. (d) Turn the dimmer switch to the low position. 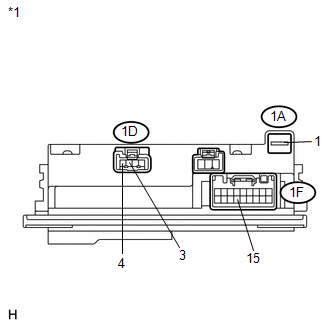 (e) Install the H-LP HI (RH) fuse and remove the H-LP HI (LH) fuse. (f) Turn the dimmer switch to the high position. (g) Check if the high beam headlight RH illuminates. Either high beam headlight LH or RH illuminates. (a) Remove the power distributor (engine room junction block assembly) from the engine room relay block. (c) Connect a negative (-) lead from the battery to terminal 1F-15. (a) Disconnect the 1F power distributor (engine room junction block assembly) connector. (b) Disconnect the 2C main body ECU (driver side junction block assembly) connector.